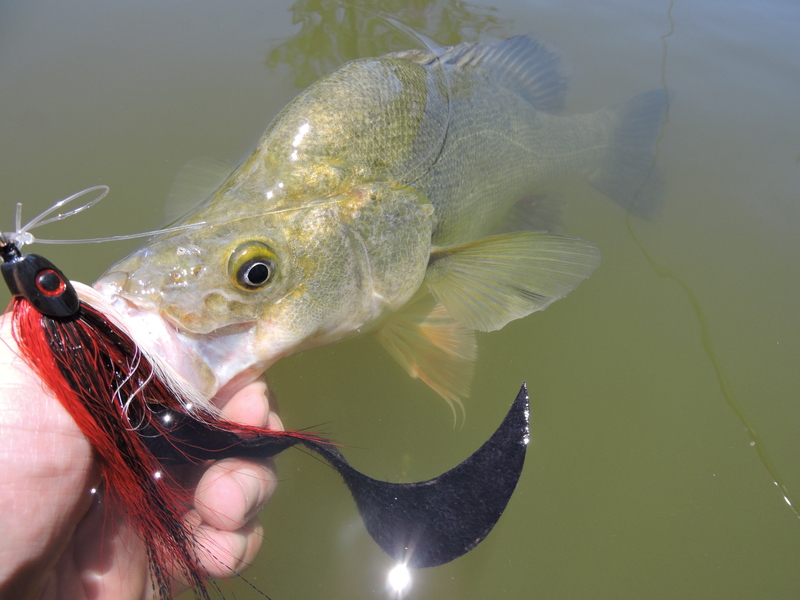 GOLDEN PERCH FEVER 2014/15 COD OPENING…. 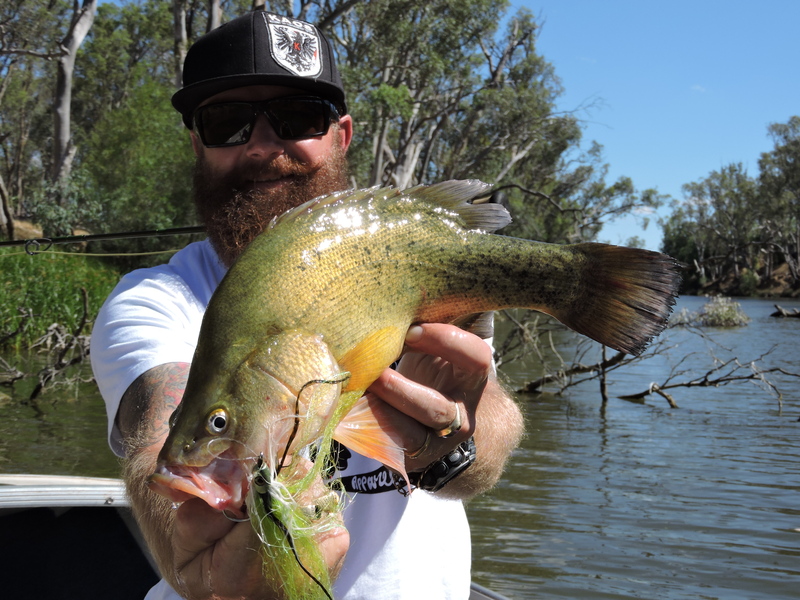 Golden Perch fever, not the start I was intending for as it’s the new season for Murray cod and a week late for myself and Steve. 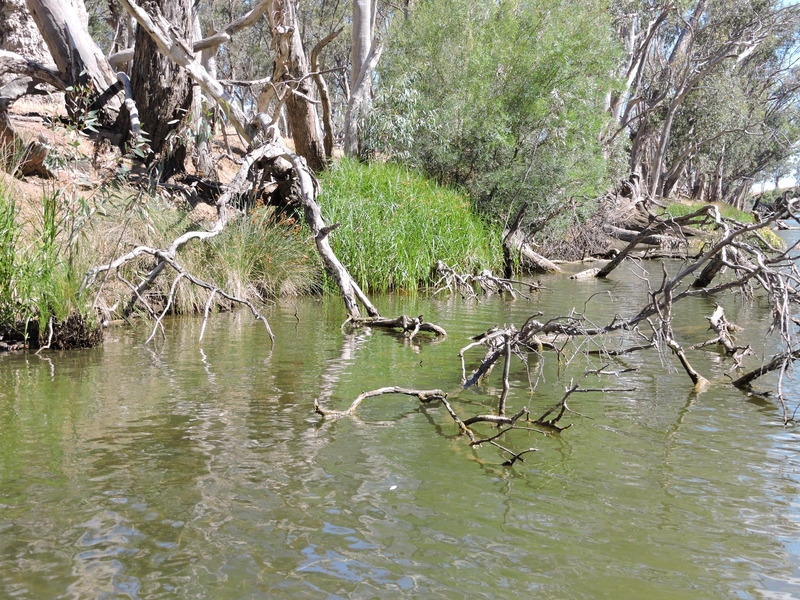 The 2014/15 open was at Central Victoria on the Loddon River just out of Bendigo…. With big fish in mind as it’s been along 3 months while the season was close as there in breeding times. I tied a few different flies over that period and big was the size I’m going for long tails with huge profile and the good old favorite colors Red/Black and Purple/Black. Once on the river the water was looking great and with not much boating traffic we had all rods blazing for the cod! A few hits and dropped cod early in the trip it all turned to GOLD after that. Continuing casting in to shady areas with timber structure most surrounded by weed beds the yellas fell head over heels for the kaos flies. Accurate placement was the key as once the fly was in the zone BAM yellas all over them not a second lost. In all over the past couple of days 4 Golden Perch boated and 3 all around the 40cm plus mark I did manage a little rat which had a huge appetite. Above picture where the spots we targeted and other heavy structure chasing those green backs. Well I’m off up the river in 3 weeks to try and open the cod account with my rods crossed. Enjoy your fishing…..